In 2018, Beats Electronics will celebrate the ten-year anniversary of releasing its first product. Apple was expected to launch anniversary editions of some products at WWDC 2018 in June, but Best Buy jumped the gun in revealing everything early. 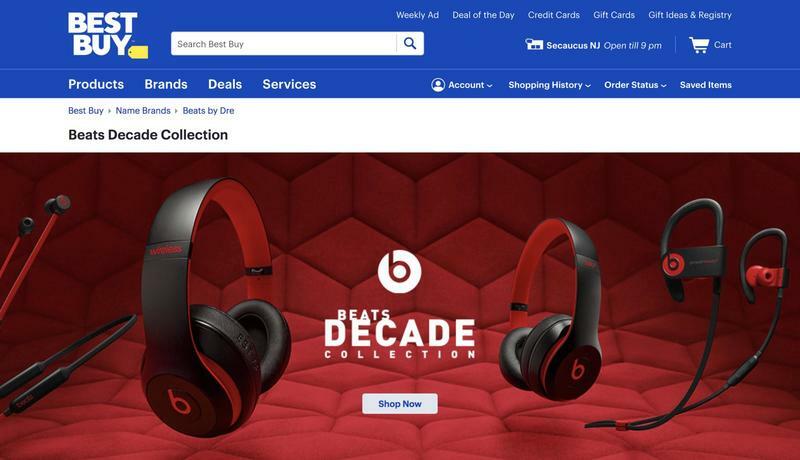 The electronics retailer went live with a page for the Beats Decade Collection despite the company itself not announcing anything yet. Don't expect entirely new products, though. The Beats Decade Collection will just put a fresh coat of paint on existing headphones and earbuds. According to the electronics retailer, the products getting recolored are the Beats Studio3 Wireless, BeatsX Wireless, Beats Solo3 Wireless, Powerbeats3 Wireless, and urBeats3 Wireless. Beats will put its trademark red and black colors on each. Pricing is slightly higher than the regular versions, and that's no surprise from Apple. Best Buy is already taking orders, which may or may not be an error. But the retailer says orders should ship by June 4. That's the same day Apple's annual developer conference kicks off. So there should still be an announcement for the Beats Decade Collection at WWDC.